Gardenware online was a very good place to shop and my item arrived promptly. Thank you very much! 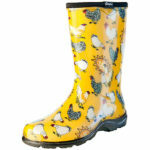 I bought these for the caravan, but they are so comfortable I will be wearing them out in the garden as well. Beautifully made, Im sure they will last for years. The best and most practical solution to the farmers dilema of keeping the mud outside!! I am very happy with my sloggers perfect fix and just loved the colour!!!! I get irritated by the fact that in Australia we always have to pay more than the States even allowing for transport costs. 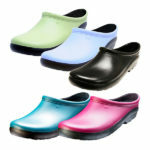 Apart from that the clogs are very comfortable, the colour is lovely and the quality beats most shoes available in Australia. Altogether I am very happy with my purchase. absolutely great clogs and very comfortable. can highly recommend it to anybody! I bought these because I’m always wearing crocs in the garden and they get full of sand and water. 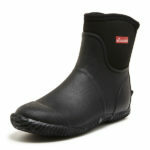 They keep my feet dry, easy to slip on and off between kitchen and garden and have a really solid sole. I expect to get much more wear out of them than the crocs i’ve been wearing. Great product & quick shipping. Thanks for the great product & quick shipping.